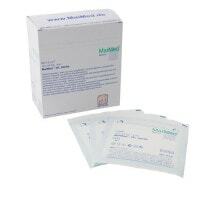 Swabs and compresses serve to cover wounds and protect the wound surface; they are among the most widely used dressing materials in surgeries and hospitals. 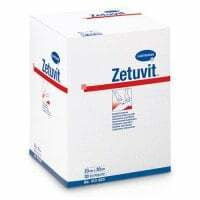 In our online shop, you may buy sterile and non-sterile swabs for every need, such as ES compresses, absorbent compresses, slit compresses, ointment dressings and universal swabs made from gauze or fleece. Ointment compress without any active agent, made from widely meshed cotton webbing. Swabs often serve as wound covers in medical wound treatment, and are considered among the most frequently used dressing materials in surgeries, operating theatres and hospitals. 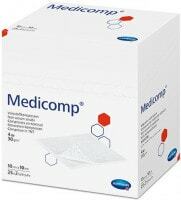 Depending on the purpose of the compress, the required swabs can either be sterile, e.g. for covering open wounds, or non-sterile, e.g. for ointment dressings. 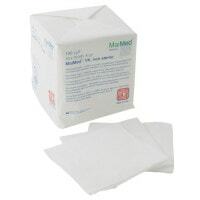 These multipurpose dressings are not only used for bandaging; in fact, these compresses can also be used as a bandage for haemostasis, where they are placed on the wound and apply pressure on the bleeding area from being fastened with rolled gauze or ideal bandages. 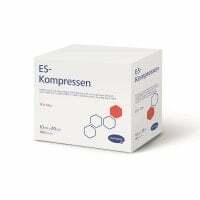 Another purpose for compresses is for collecting bodily secretions, such as from highly secreting wounds. 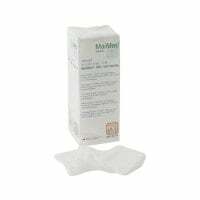 For moist wound treatment, we offer special bandages, such as the Suprasorb bandages for treating wounds with sensitive surrounding skin. 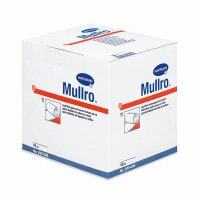 Impregnated dressings are used for wound edges and for creating a moist wound area. 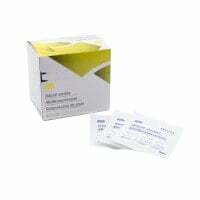 These additive-free swabs prevent the bandage from adhering to the wound and provide a pain-free dressing change. 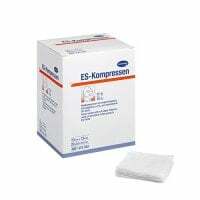 These compresses are used for treating highly secretious wounds. 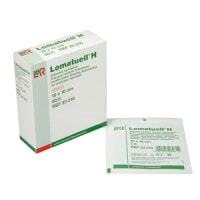 They are able to absorb and hem high amounts of wound exudate. 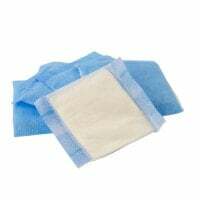 Non-woven compresses and gauze swabs are not only great as wound covers, but also as padding, e.g for splints or compression bandages as well as for wound cleaning. 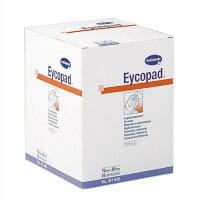 These universally applicable dressing materials are available as sterile or non-sterile products. Drainage compresses are composed of an opening (a cut out or “split”) and are used either when treating drainage entry points or for padding venous catheters. ES compresses are folded to prevent the disturbing occurence of frayed edges when unfolding. 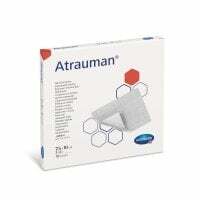 In the category «Swabs & Compresses», you will find non-woven compresses and gauze swabs, absorbent compresses, ES compresses and impregnated dressings from name brand manufacturers, such as Hartmann or MaiMed. 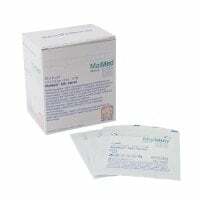 We offer you both sterile and non-sterile swabs in various sizes. 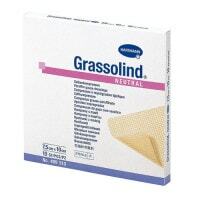 Regardless whether it's for wound care, as a swab or dressing material, Praxisdienst offers you the proper compresses for all types of dressings. 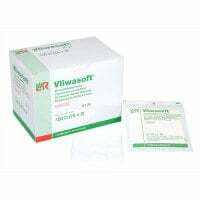 In our online shop, you can purchase swabs and compresses, as well as additional wound dressing materials, at affordable prices–from Ideal bandages to gauze balls and conforming bandages. 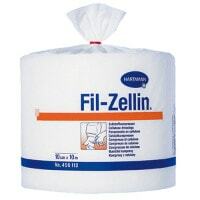 For large surgeries and hospitals, we also offer Fill-Zellin® universal compresses on a roll, which can be cut down to size based on situational needs. You would like to buy swabs and compresses for your practice or for use in the hospital, but have questions about our products? Our customer service team will gladly help you further!